Ear wax is part of our body’s normal physiology and does not necessarily need to be removed. It coats the ear canal to moisturize it, fight off infection and help keep dust, dirt, and other debris from getting deep inside your ear. However, wax may be considered for removal if the ear drum needs to be inspected to help make a medical diagnosis. Wax may also be considered for removal if it is causing symptoms such as reduced hearing, tinnitus, pain, vertigo and interference with hearing aids. 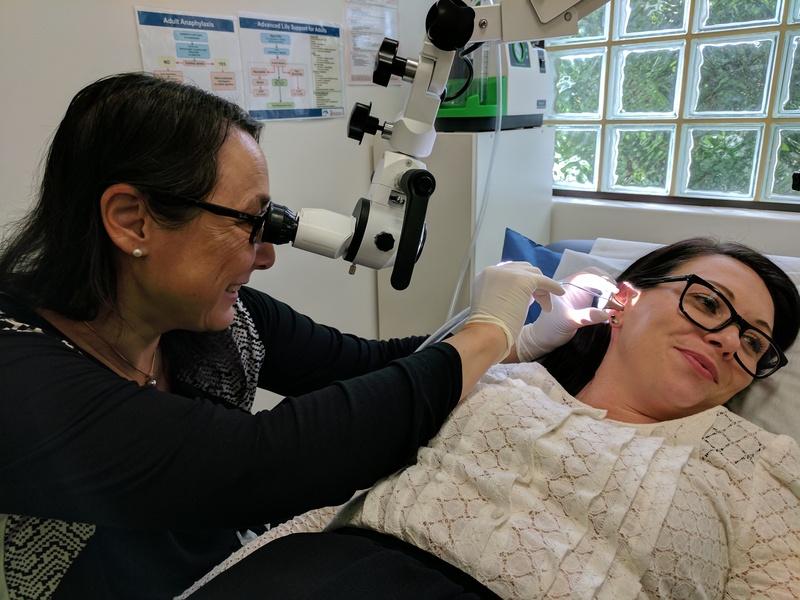 All Doctors at Como GP are skilled in treating ear problems requiring use of Microscope and Microsuction. We are the only local General Practice that offers this procedure. Microscope with Microsuction is a step forward in the treatment of ear conditions requiring wax removal, where previously an ear syringe was used. During ear syringing, wax is flushed out ‘blindly’ with a pressurised stream of water and 1 in 1000 patients experience major complications. With Microsuction the wax is directly visualised under a Microscope whilst it is being removed and no water is involved.